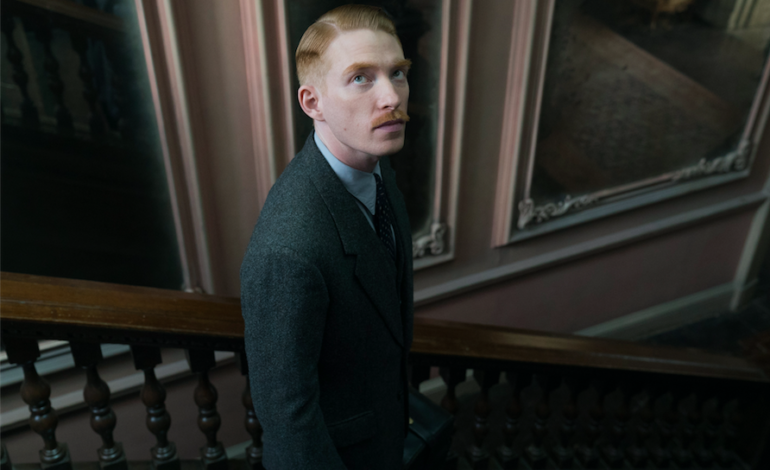 Domhnall Gleeson, Ruth Wilson, Will Poulter, and Charlotte Rampling star in The Little Stranger, a spooky thriller based on the novel by Tipping the Velvet writer Sarah Waters. The film is set during the summer of 1948 and follows a country doctor named Faraday, played by Gleeson, as he becomes entwined with a family living in a haunted house where his mother once worked as a maid. Lucinda Coxon, writer of The Danish Girl, has adapted the Waters novel for the big screen, and Lenny Abrahamson (Room) directed. Waters is known for her rich and gripping historical fiction – her novel Fingersmith was adapted into the 2016 film The Handmaiden, directed by Park Chan-wook. Several of her other novels have been adapted for television and theater. You can watch the official trailer for The Little Stranger below. The film will be released by Focus Features on August 31.